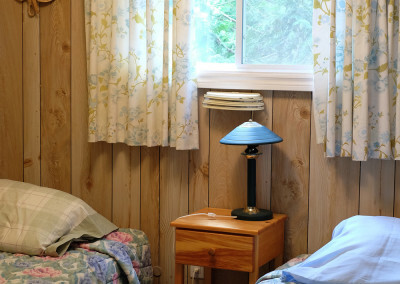 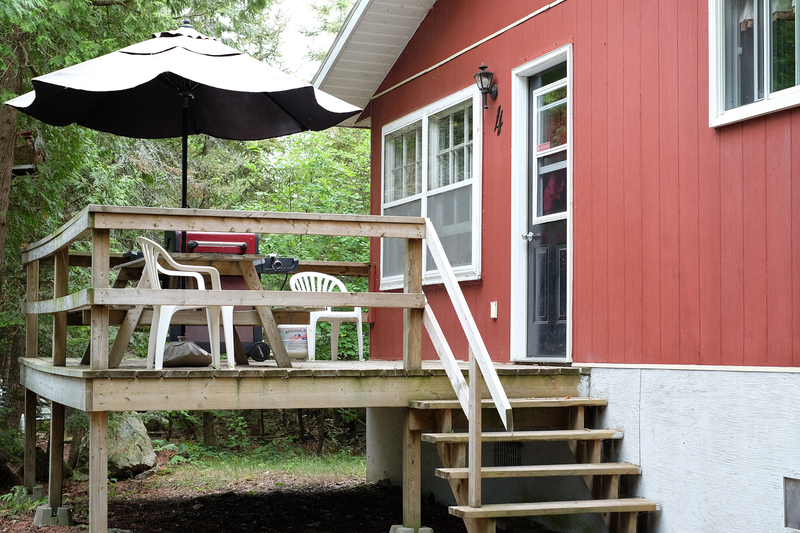 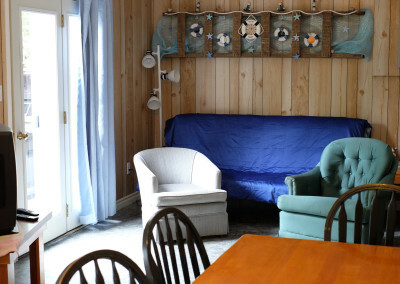 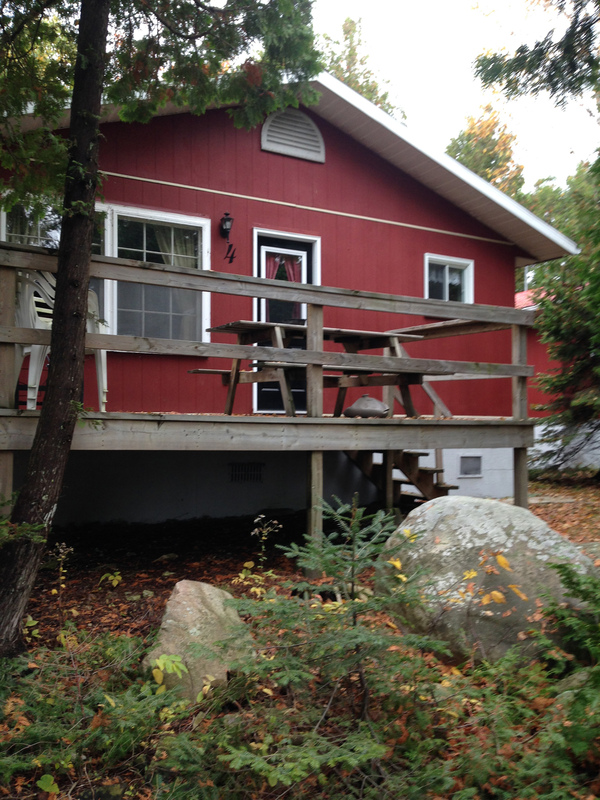 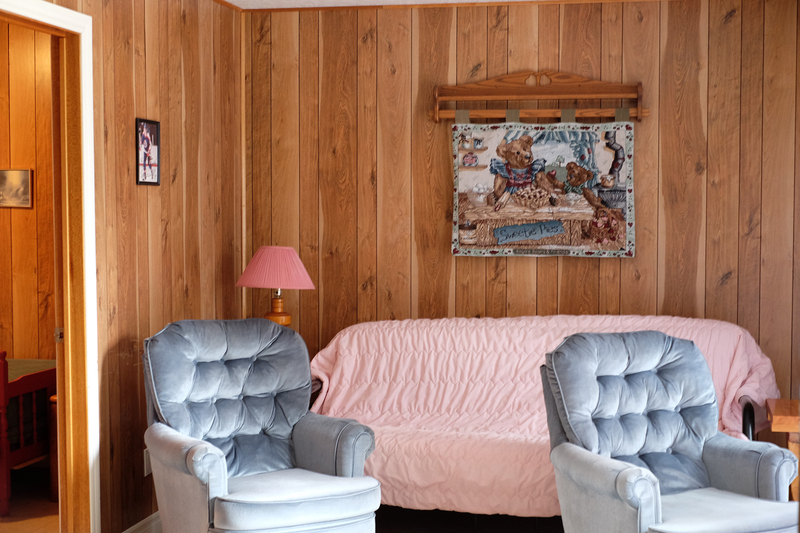 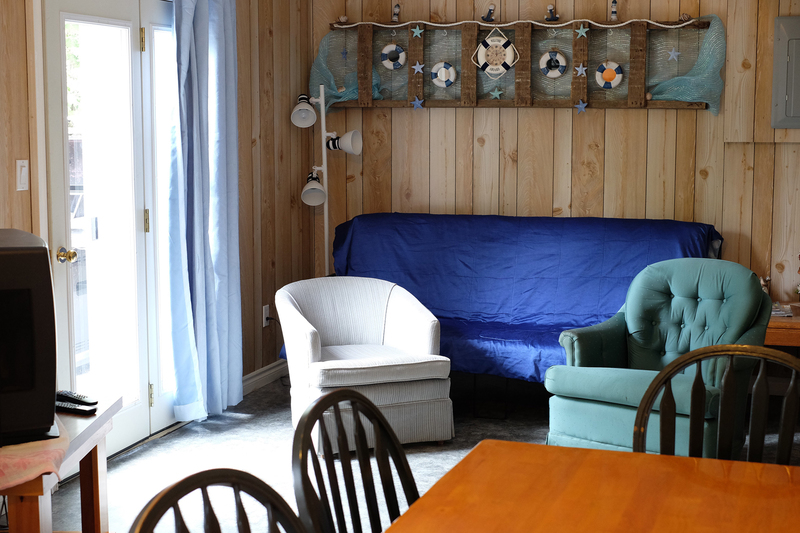 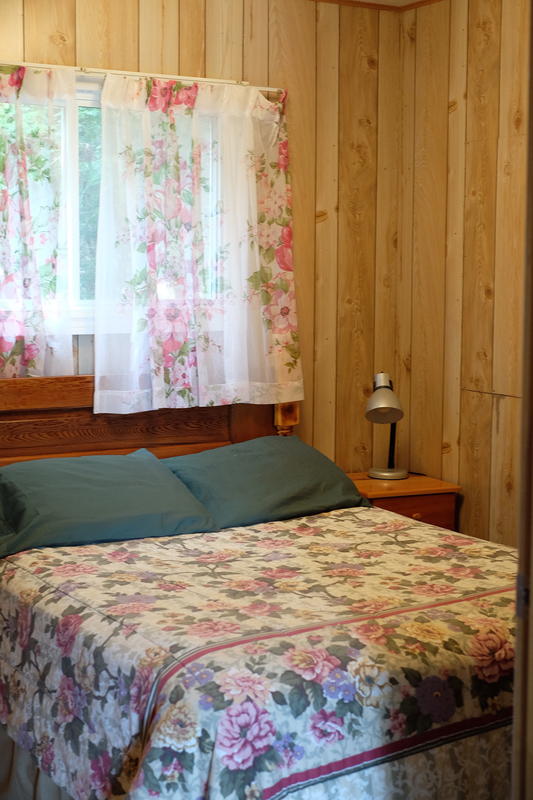 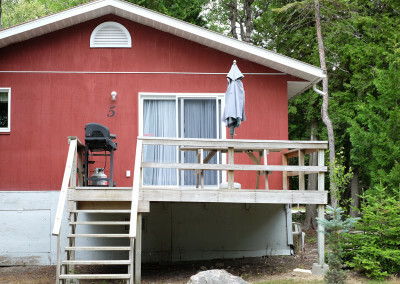 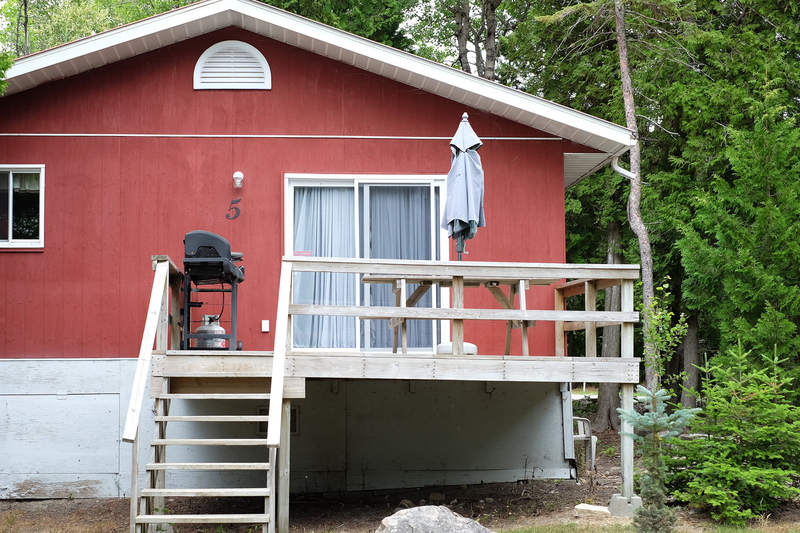 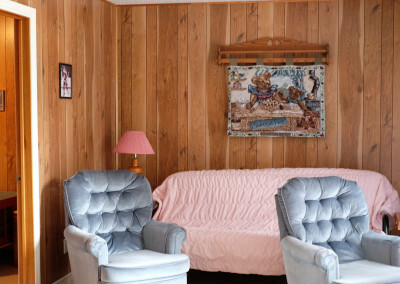 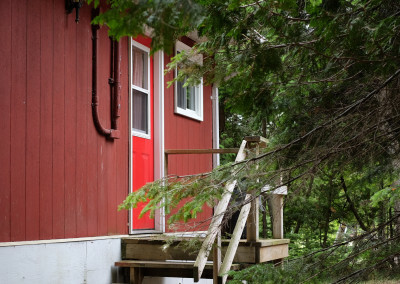 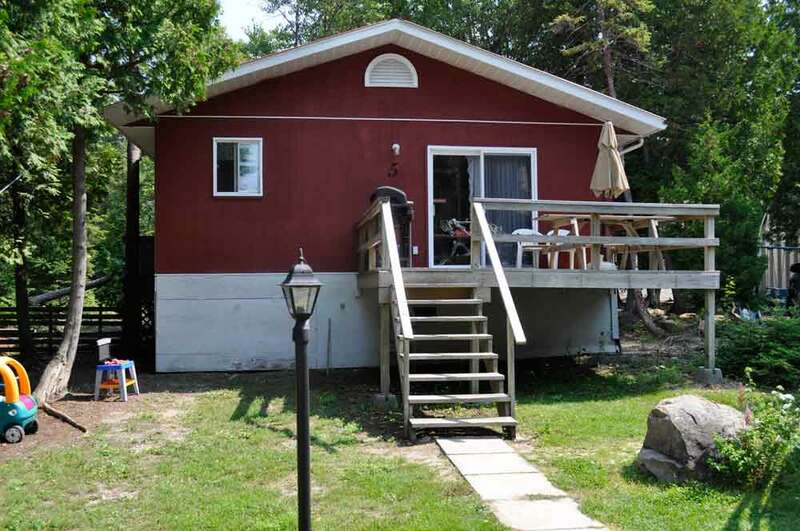 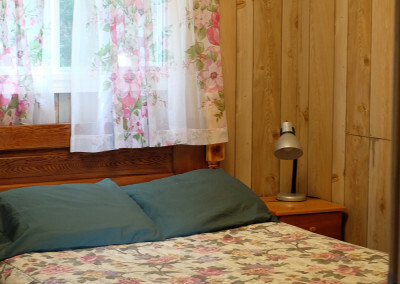 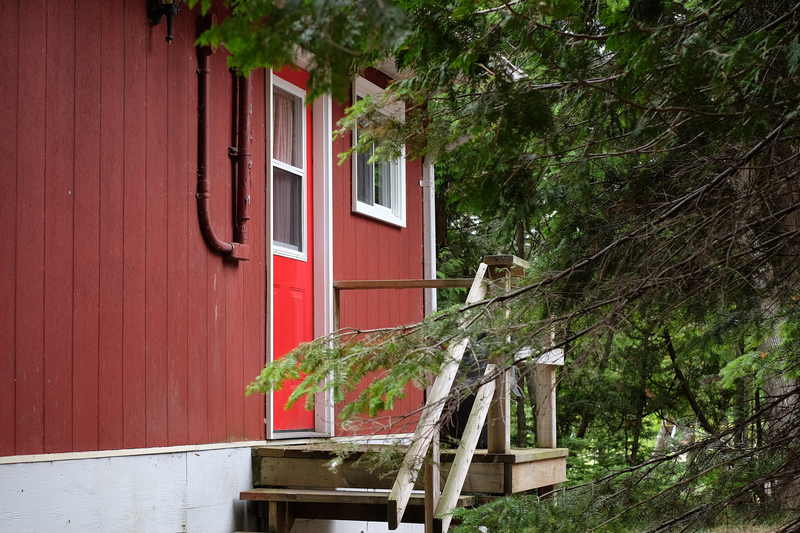 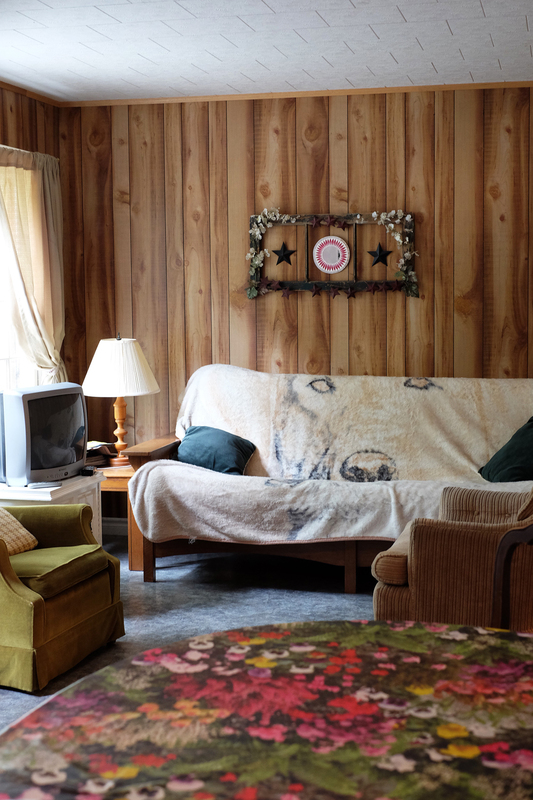 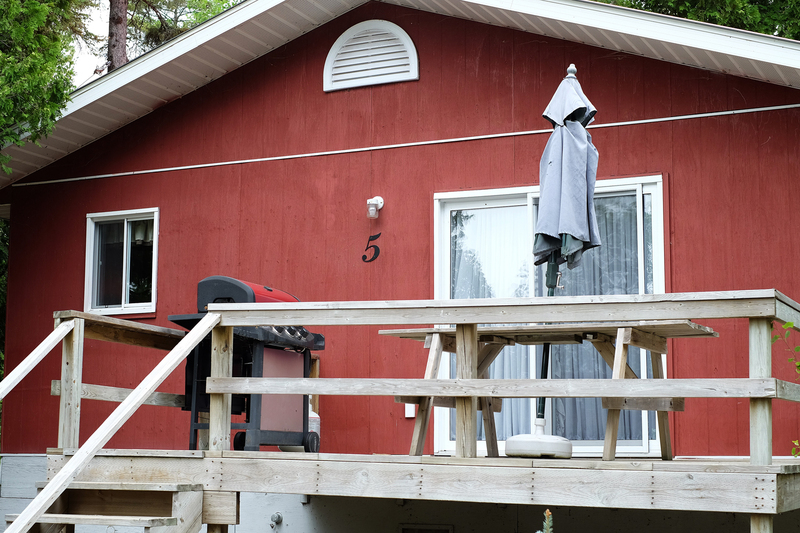 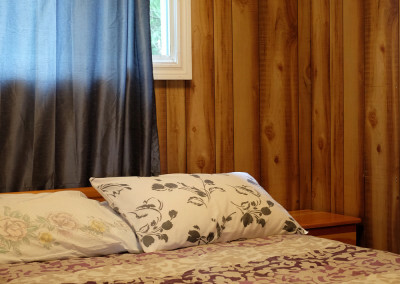 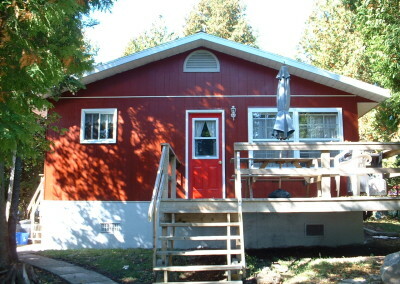 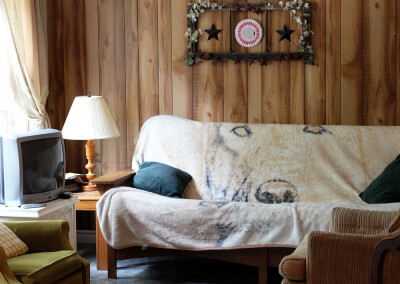 Cottage at Bears Inn Resort features six modern and fully maintained cottages. 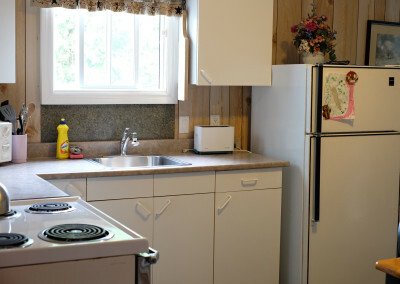 Each cottage is equipped with two bedrooms, a 3-piece bathroom, full kitchen, as well as a living and dining space. 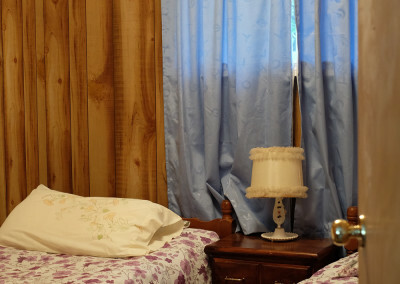 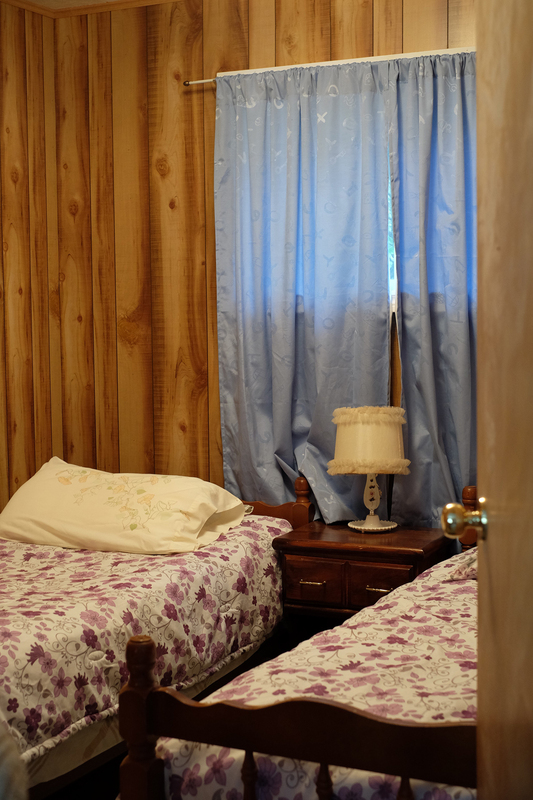 One bedroom includes a double bed and the second bedroom has two single beds. 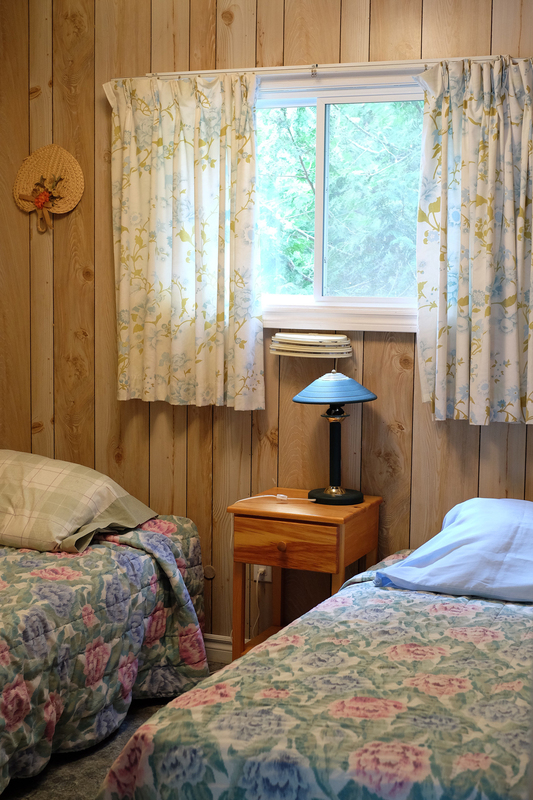 All linens (blankets, pillows, sheets, tea-towels) will be provided during your stay. 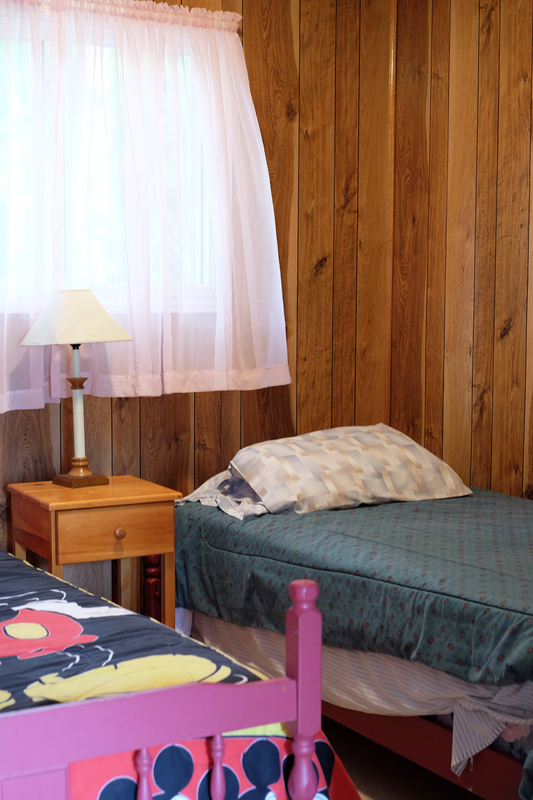 We request that you bring your own bath towels and other personal items that are specific to your needs. 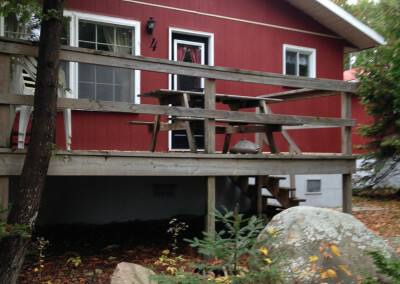 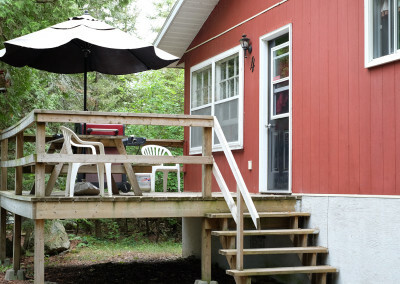 Yard of Rental Cottage – For your vacation comfort, all of our waterfront cottages are equipped with the following item: fridge, stove, toaster, microwave oven, coffee maker, tea kettle, plates, dishes, cutlery, sofa bed, tea towels, gas barbecue, picnic table, satellite TV, electric heat and a large private deck. 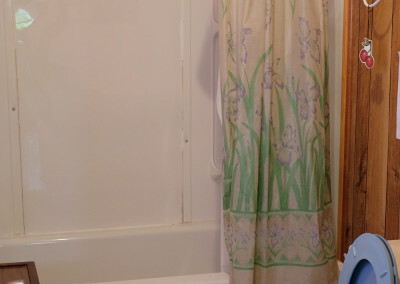 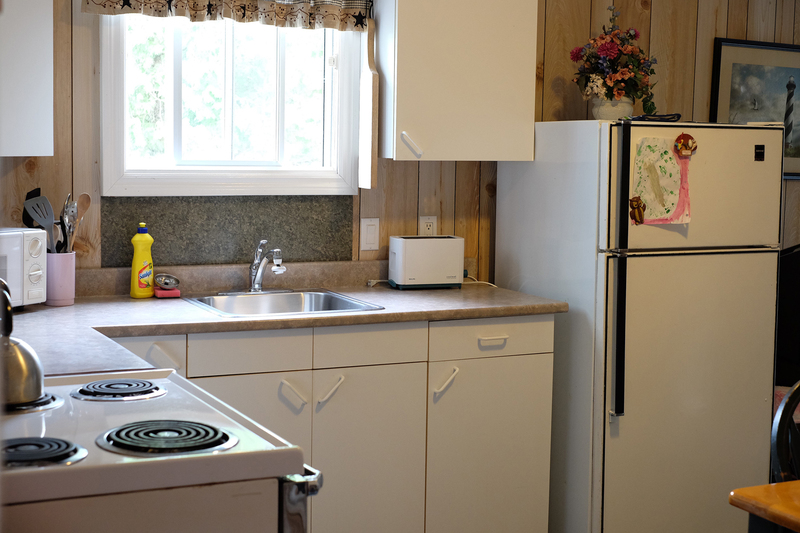 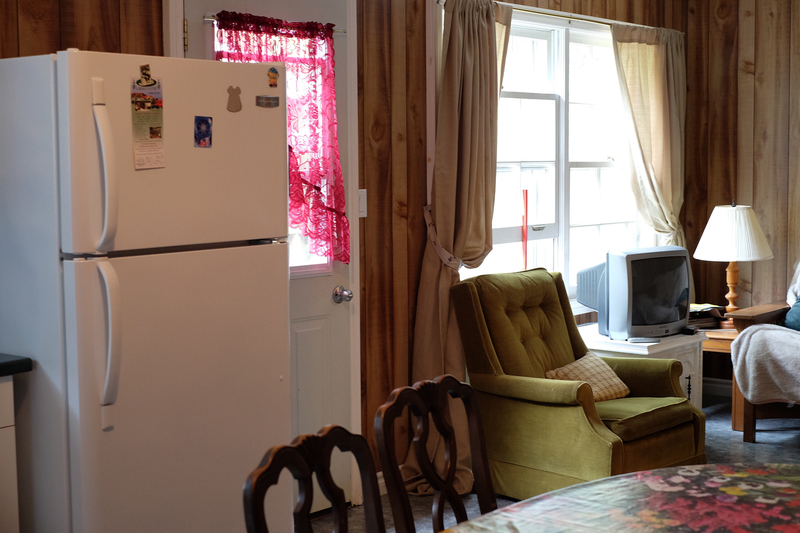 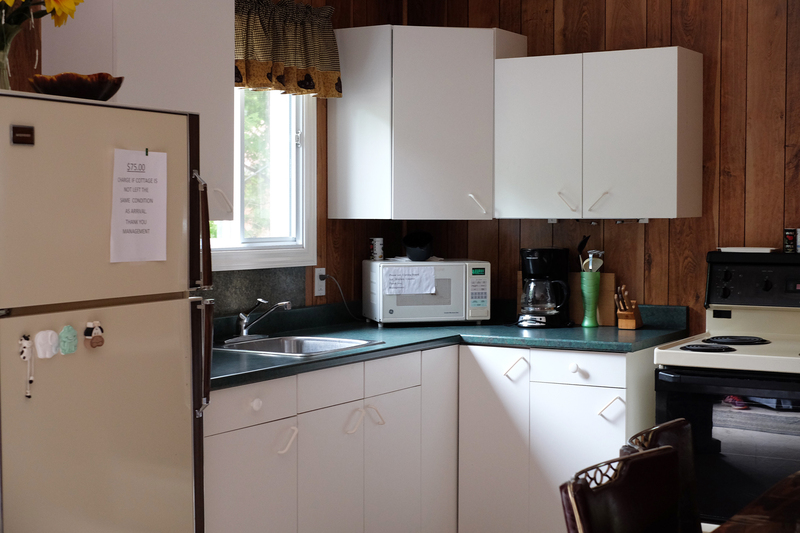 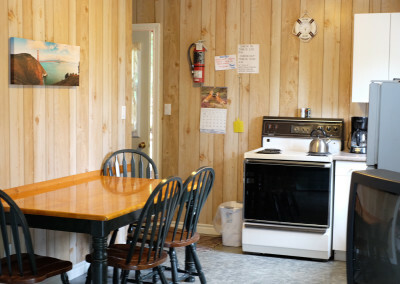 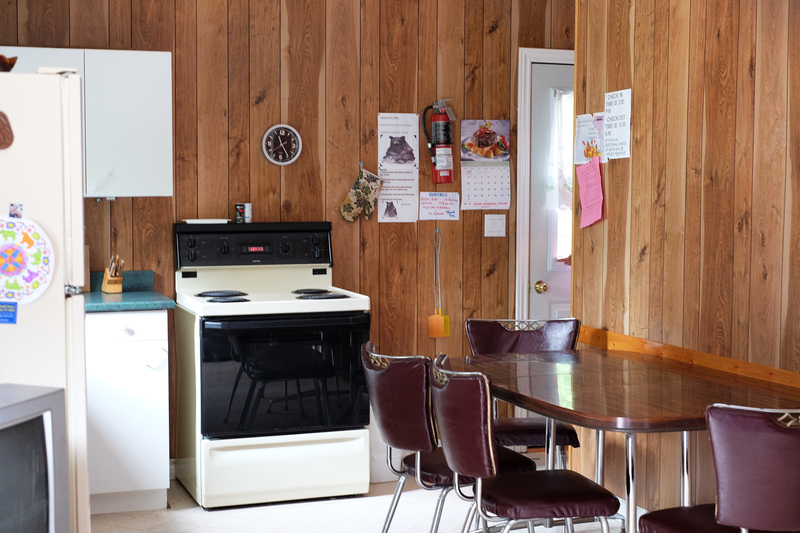 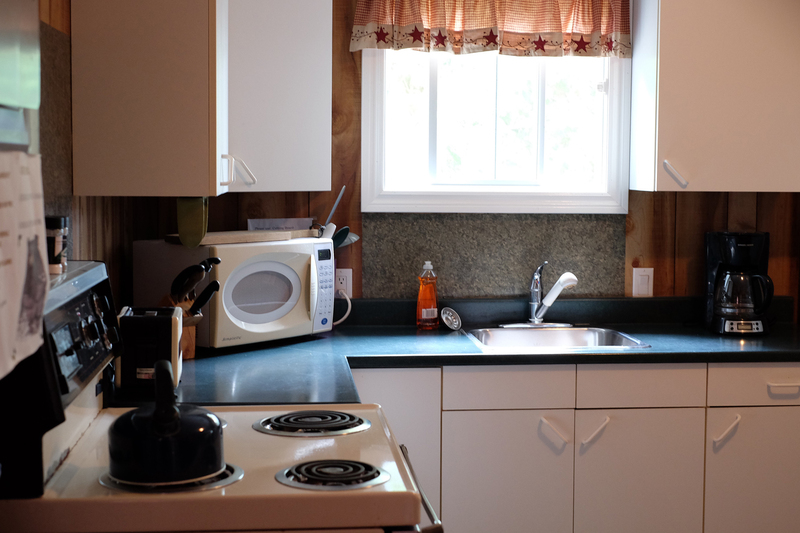 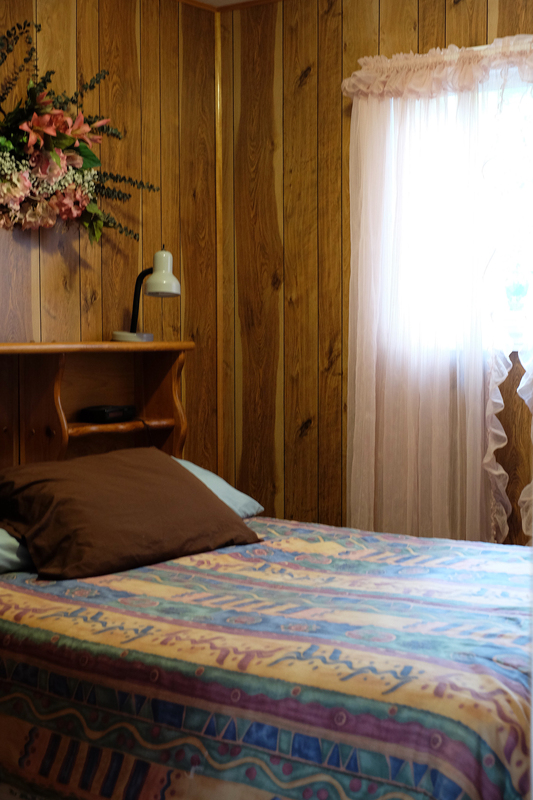 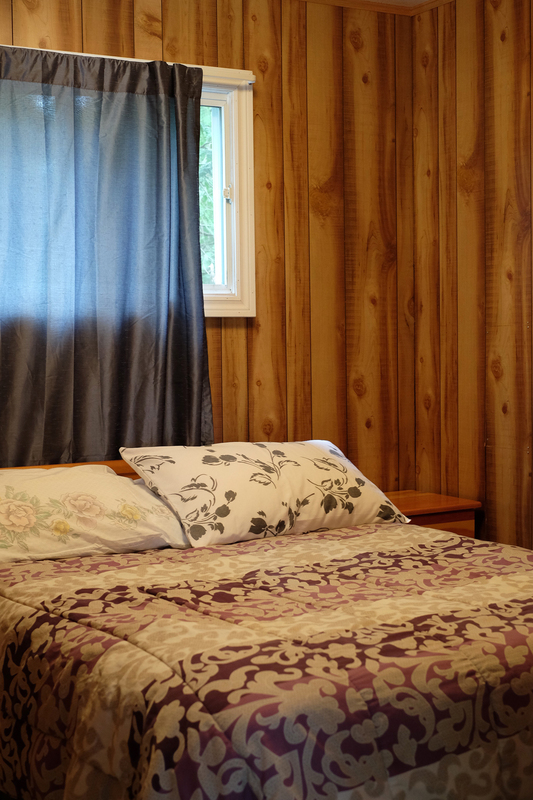 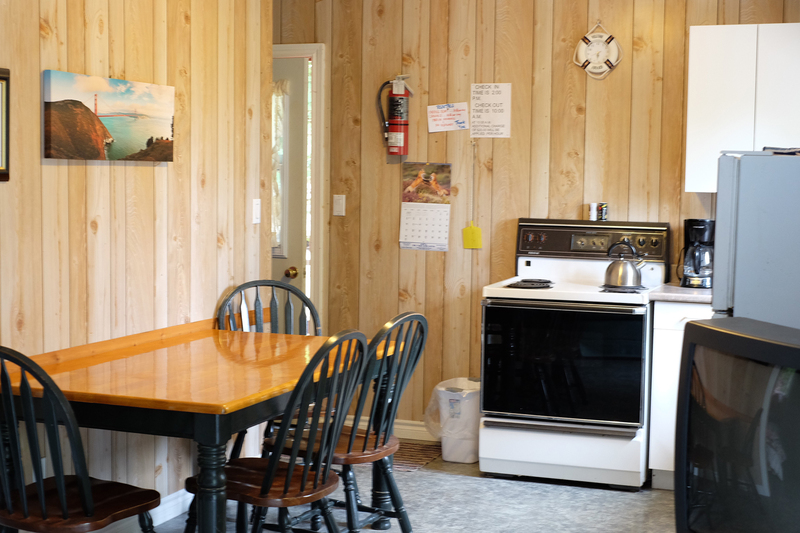 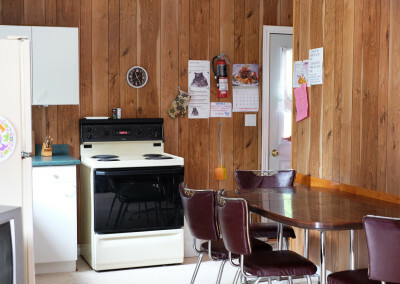 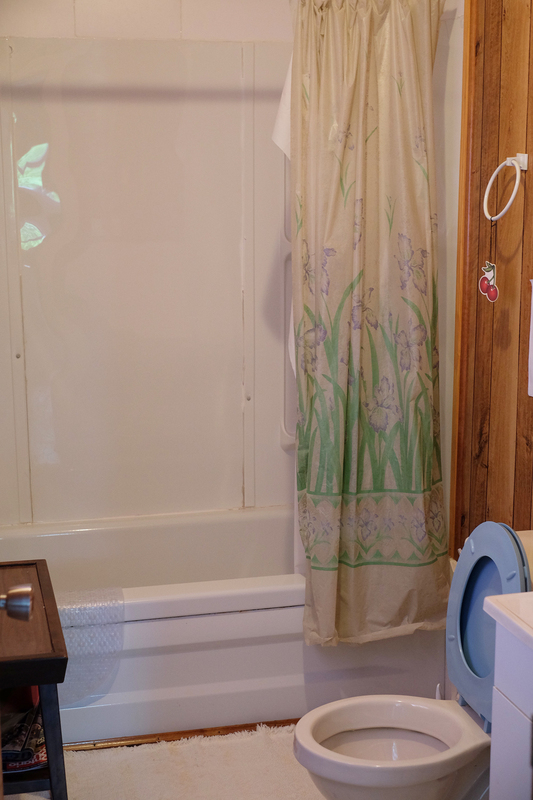 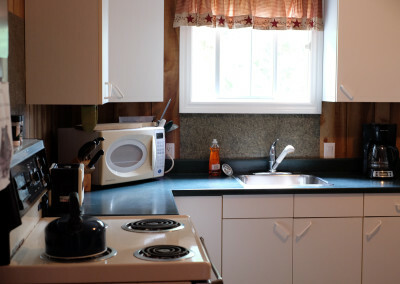 Bears Inn also offers an onsite, self-serve laundromat for our cottage and camping patrons. 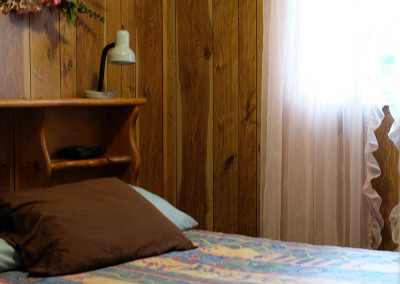 This service is provided at a nominal cost to our guests on a first-come, first-serve basis. 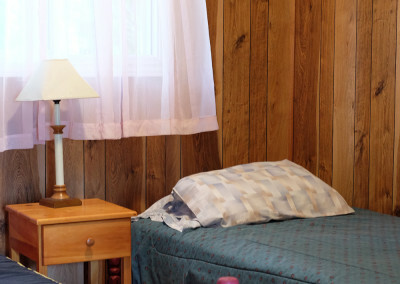 Please Note: Pets are welcome to accompany you on your vacation, however a separate fee of $25 per day will be required upon checkout.